Red Bull's competitiveness at the Australian Grand Prix will have pleased team boss Christian Horner, but Mercedes rival Toto Wolff is also excited. 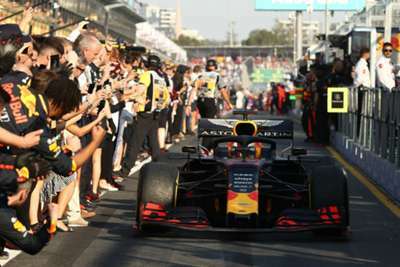 The four-time constructors' champions switched from Renault to Honda power for 2019 and they were quick from the outset in Melbourne – with Max Verstappen and Pierre Gasly both impressing. Verstappen claimed third place at Albert Park behind the two Mercedes' and was delighted with the "amazing" performance of his Honda engine. Wolff was so impressed he believes the Red Bull can be a championship contender in 2019 alongside his own team and Ferrari, and he is looking forward to the battle. "They [Red Bull] were very strong," Wolff told the official F1 website. "You saw how they have eaten up Sebastian [Vettel] into turn 3, the power was enormous. "The combination with Red Bull will become a threat. Based on the level of performance, you must certainly have them in the calculation for the championship." Wolff added: "Honda has certainly made a huge step forward. "If you look at the speed trace it looks a very different Red Bull than before. They are very fast on the straights and that is good to see because we want them in the mix and to have a great fight." 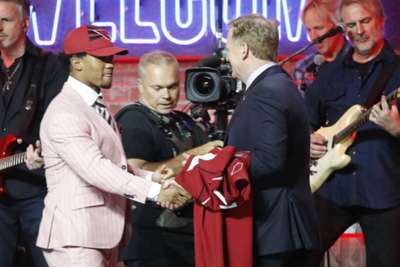 The Arizona Cardinals took a huge and unnecessary gamble on Kyler Murray, and early success is a must for it to be justified.